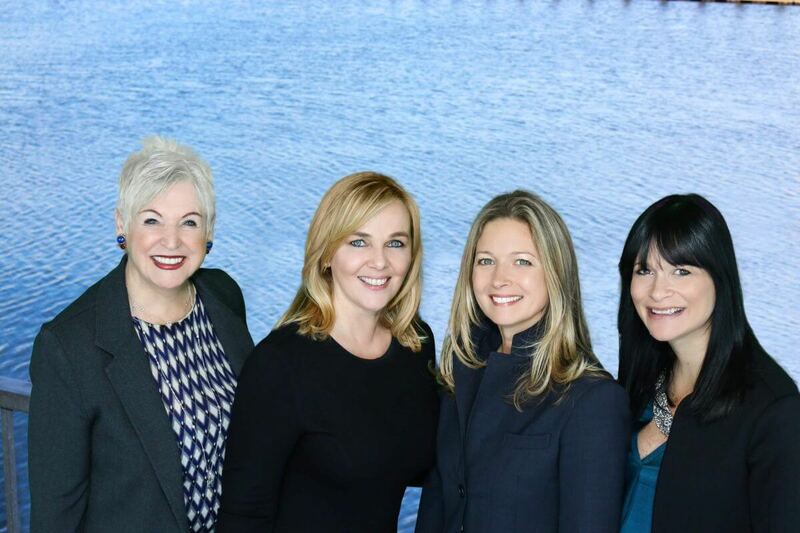 We are excited to introduce you to Pier 4’s exclusive sales team at Advisors Living! 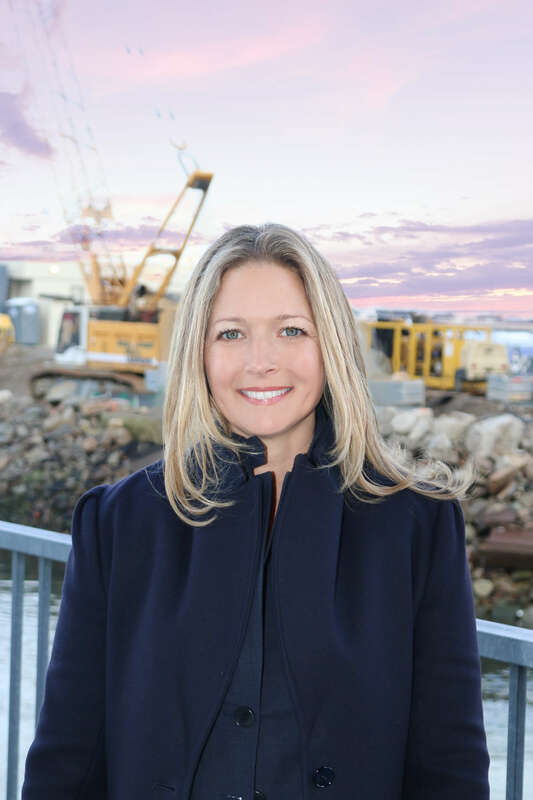 Not only does the team have the luxury home know-how perfect for your search at PIER 4, but also the download on Boston’s Seaport history and hot spots. Keep reading to get to know Janice, Kristy, Jeanine, and Diane. Why Boston? I live in Boston because it’s where my family is, and I also love that the city blends history with the vibrancy of a college town. Favorite Seaport neighborhood destination near PIER 4? Flour Bakery, owned by iconic chef Joanne Chang and only steps from PIER 4 in the Seaport. Favorite memory from Anthony’s Pier 4? Two of my best friends from college I introduced to each other held their wedding at Anthony’s. What do you love about your job? My job is never boring – I am constantly meeting new people and get to work with an incredible team at Advisors Living. Favorite day trip from Boston? Kennebunkport, ME. From the famous Clam Shack to beaches, Kennebunkport has food and fun for all only an hour from Boston. One thing people may not know about you: I’m very passionate about reading, and plan to write a book someday. What’s one word to describe PIER 4? Exceptional. PIER 4 will create more public green space in the Seaport with contributions to the Harborwalk and a future one-acre park. Why Boston? Boston’s a city steeped in rich history, architecture, and culture. It may be smaller, but it offers great proximity to outdoor attractions on the East Coast for any season from skiing to swimming. Where’s your favorite Seaport neighborhood destination near PIER 4? 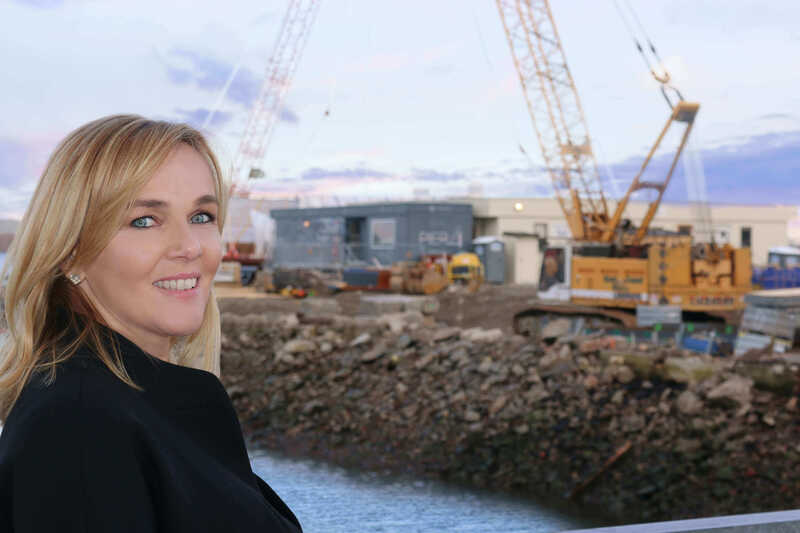 I love to stroll on the Harborwalk, and I’m excited PIER 4 will be extending the Harbor Walk to create additional public space and public access along the South Boston waterfront. What’s your favorite memory from Anthony’s Pier 4? I had my college graduation dinner at Anthony’s! What do you love about your job? I love getting to meet people, hear their stories, and assist buyers in the potential of new spaces. What’s your favorite day trip from Boston? Heading to Gloucester on the North Shore and stopping for clams and lobsters at Woodman’s in Essex on the way. What’s one thing people may not know about you? I’m licensed to drive a boat and a motorcycle in both Massachusetts and New Hampshire. What’s one word to describe PIER 4? Distinct. As the only Seaport condominiums surrounded by water on three sides, each home at PIER 4 will offer sophisticated and unique layouts with elegant finishes, private outdoor space, and captivating views. Why Boston? My family’s here; I’m a big fan of Boston sports teams; and I love how it is easy to travel to another East Coast adventure, whether it’s heading to New Hampshire or Vermont to ski, jetting to Nantucket on the ferry for a day at the beach, or taking a trip to New York City. Where’s your favorite Seaport neighborhood destination near PIER 4? Rowes Wharf at the Boston Harbor Hotel because there are spectacular views of the Harbor. In the summer, I love relaxing on the patio and listening to the annual Summer in the City live music series. What’s your favorite memory from Anthony’s Pier 4? Anthony’s Pier 4 was one of my father-in-law’s favorite restaurants. I have fond memories of eating popovers with him there. What do you love about your job? I love meeting people, and my job introduces me to people that I otherwise would not have known. I really enjoy listening to their stories and getting to know them in order to find them the perfect home. Where’s your favorite day trip from Boston? One of my favorite destinations is a relaxing day enjoying the sun and sand on Nantucket with a day at the beach. What’s one thing people may not know about you? I hold a contractor’s license in Florida. What’s one word to describe PIER 4? Iconic. 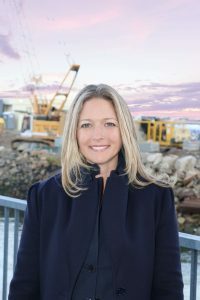 PIER 4 carries on the legacy of the iconic location of the former Anthony’s Pier 4 as a premier Boston address with architecturally impressive luxury condominiums on the way. Why Boston? I love Boston because it’s a young city with vibrant and unique neighborhoods each with a unique flare of culture, such as the innovative vibe in the Seaport District. Favorite Seaport neighborhood destination near PIER 4: Dining al fresco at Ocean Prime Restaurant in the summer months to enjoy the raw bar and a scrumptious Chilean sea bass. Favorite memory from Anthony’s Pier 4: A classic New England pastime: enjoying lobsters in the summertime. I frequented Anthony’s Pier 4 with old friends from Newton High School. What do you love about your job? I work with a great team and with great clients. Finding a new home can be challenging, and it’s incredibly rewarding to help people find the right one that’s the best fit for them and their families and that they can enjoy for years to come. Favorite day trip from Boston? Cape Cod! Some of New England’s most scenic beaches and classic seafood restaurants are only an hour’s drive from Boston. One thing people may not know about you: I love to dance and sing. One word to describe PIER 4: Brilliant. 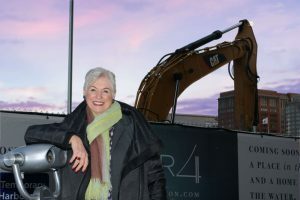 PIER 4 brought celebrities, residents and visitors to the Seaport long before the neighborhood’s development boom as the former location of Anthony’s Pier 4. Now, PIER 4 will continue to be a premier and iconic address and offer the only Seaport condominiums surrounded by water on three sides. 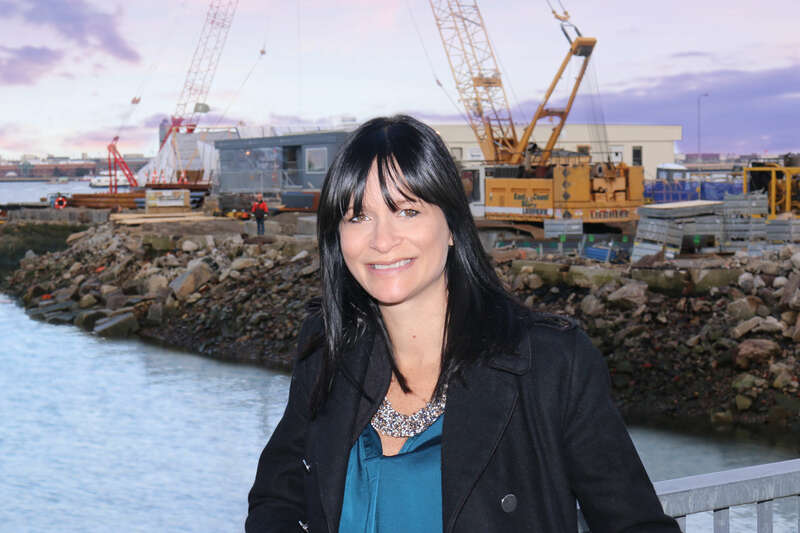 Follow along on Instagram @Pier4Boston for a series on PIER 4’s exclusive sales team.